Hey kids! Welcome to Summer FUN for $10/day. We are ready to engage your kiddos this summer! We offer exciting & affordable mini camps in additional to our regular 9-3pm camp. Ages 3&Up are welcome. All kids must be potty trained. In our 9-3 camp we offer engaging weekly themes, kids fitness, arts & crafts, science & math fun, reading activities and additional mini camps for $5/day Mon-Fri! Please see the calendar below for the Mini-Camp Line Up. We charge $10 per child per day for the first two campers and $5 for each additional sibling. There is a $30 daily max per family for the 9-3pm camp. *Big City Basketball and Volleyball all have an additional cost. See info below. To register for summer camp please fill out the form below. You can pay online or you can pay in person at the OSCS front office. This camp is first come first serve and space is limited. Please list all the campers in your family that you are registering with their age and grade for the 2019-2020 school year. In the event of an emergency we will make every attempt to reach you, or the contacts listed below. However, if we are unable to reach you or a designated contact, the Physician indicated on your medical information form will be called for instructions. If your child needs emergency care and/or transport by ambulance your signature below authorizes Our Saviour Catholic School to arrange for such care and transport. I understand this camp is a technology free zone. I (insert parent name) will not send phones, tablets, computers, gaming systems etc.... in with my child so that they may be completely submersed in summer fun, friends and overall real life interactions with human people. What weeks are you registering for? Is your child's photo allowed to be used on social media and the OSCS website? Please check yes or no. 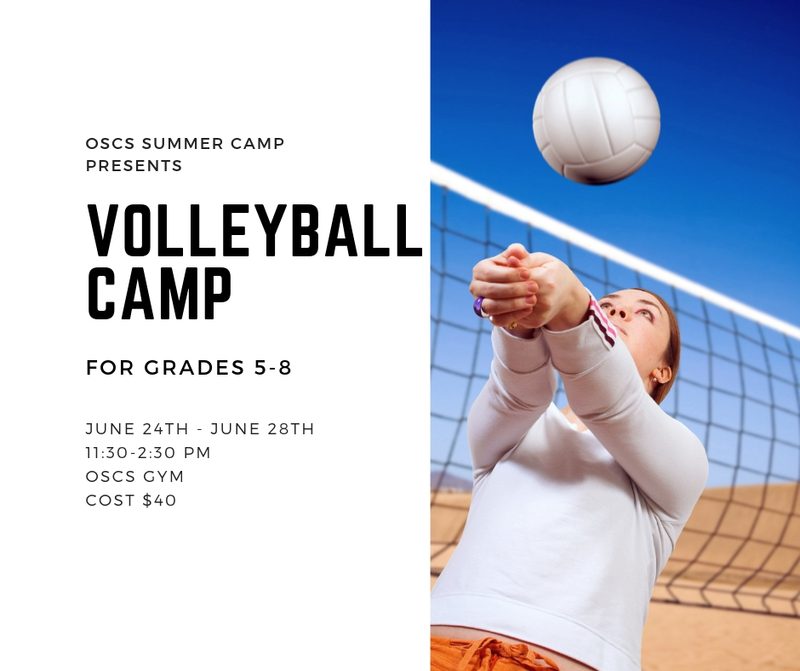 Thank you for registering for OSCS Summer Camp! You can either pay for camp online or in person to our school office. We will email you the week before camp to confirm your slots. These camps are separate from our normal 9-3 camp and campers must register separately for each of these camps.